In marketing, there’s still a huge misconception about Pinterest. Some marketers think that it’s useless — just another fad network that people are getting in a tizzy about. But that’s not quite accurate any longer. While Pinterest may not be perfect forevery marketer in every industry, it does offer a huge opportunity for most. It has more than 70 million users and a growing international population. Plus,Pinterest users spend the most money of users on popular social networks — nearly double the amount of money spent from Facebook users and triple the amount from Twitter users. This means that there’s lots of potential leads and customers just waiting to be engaged and converted who will probably spend a decent amount with you. Sounds like a pretty sweet deal to me, but thinking about generating leads … andactually generating leads on Pinterest are two very different things. The good news? Pinterest is actually a fairly simple social media network as far as lead generation goes, because there’s really only two ways to generate leads right now. So we’ll walk you through both types of lead generation and how you can optimize pins to make the most of those lead generation opportunities. Direct Leads: Direct leads are generated through content on Pinterest that links directly back to a landing page on your website. On that landing page, visitors can share their personal information (a name, email address, phone number, etc) in exchange for an offer — whether that be an ebook, coupon, infographic, or any other piece of content. Indirect Leads: Indirect leads are generated by using Pinterest on the path to conversion — but it’s not the final destination before someone gets to a landing page. For example, if you shared a blog post that had a call-to-action to a landing page at the bottom of the post, your initial pin is helping direct visitors to that landing page. Make sense? Pretty simple stuff. Yes, you can technically include links to lead gen material in boards and even in your profile, but those are considerably less effective than through pins. There’s two reasons why: 1) Links in Board and Profile descriptions don’t automatically hyperlink (thus decreasing the possibility of someone clicking on them dramatically), and 2)Most people are spending time pinning (this includes repins) so they probably aren’t taking the time to check out your page or board description for extra, juicy, non-visual content. So if you have limited time (like most of the marketers I know), it’s best to spend your time where it will count. So, to help maximize the ROI of Pinterest, you should spend time creating and optimizing pins to get clicks, repins, and likes — all things that will help drive your lead generation growth. Let’s break down each part of the pinning process so you can squeeze the juice out of all of your Pinterest lead generation opportunities. 1) Create a board that your Pinterest audience can — and will want to — discover. Pinterest is famous for having an audience obsessed with food, fashion, and DIY goodies — which makes marketers think that we all have to produce those three things to be successful. And while we all don’t have businesses built around those three things, there is a huge opportunity on Pinterest to tap into the last obsession. Show people how they can make something or give them the tools to do it — no matter what industry you’re in — and Pinterest users will love it. They like helpful, engaging content that just happens to be visual. So think about a board topic that can feature helpful content that will also generate leads. We’ve done this on our own Pinterest page by making a board purely for templates — but there are lots of other ways you can make that same idea work for your company and Pinterest board. Once you pick a board topic idea, be sure that it can be easily found through search (both Pinterest and otherwise). Leave the jargon out of your board names and go with something clever, yet tightly aligned with how your users speak and think. Besides that, if you want a more in-depth Pinterest SEO guide, check out this blog post. Reddish-orange images get 2x the repins as blueish images. Think warm colors, and the leads could start pouring in a bit faster than usual. Use this data as a jumping off point, but definitely keep testing to discover what your audience likes to discover, like, repin, and click. 3) Don’t use UTM parameters or shortened links in your pin URL. Adding a link to your landing page or other piece of content is crucial to generating leads, but unfortunately, Pinterest strips UTM parameters after the campaign source parameter. Also, Pinterest warns users that all shortened links could lead to spam, so your best bet is just putting in a simple URL in the URL box and trying to measure success in other ways. Next up is your pin’s description. Keep the copy short and sweet — usually between100 and 200 characters works best — while also making room for a shortened URL. This is the place where you want to include a shortened, trackable URL in your pin, as Pinterest doesn’t restrict these links like it does with the actual pin URL. Providing a link in the description gives your followers even more opportunities to click, and maybe even become a lead. Let people discover your pins more easily by including a relevant hashtag or two. Don’t go overboard though — Salesforce has found that on Twitter, tweets with one or two hashtags receive 21% higher engagement than those with three or more hashtags. Obviously, Twitter isn’t Pinterest, but it is a good practice to take cross-platform. And you’re done with making pins — so keep following steps two through eight until you have a robust board. To get the most out of your pins, you gotta get outside of Pinterest. Just like you would with any other content platform, you’ve got to promote your boards and pins to really make the most of them. There’s lots of things you can try here — from sharing links to individual pins on other social networks to embedding your lead generation boards on your website or blog, the world is your oyster. So go on, get creative — the more eyeballs you can get on your pins, the more leads you can generate. 8) Keep track of your success with a few different tools. Obviously, when you’re trying to generate leads on Pinterest, your main metric will be leads. But, there’s lots that happens before people become leads, so if you’re finding your lead generation number staying stagnant or decreasing, check for holes in the proverbial Pinterest bucket by looking deeper into referrals and clicks. 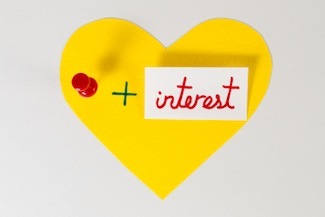 General Pinterest Referral Traffic: You can find this metric in your marketing analytics software. (HubSpot customers, you’ll find this under the Sources report.) While this also loops in traffic from pins outside of your board, it’s a good idea of how well the Pinterest audience enjoys your content. If you’re finding lots of referrals from Pinterest but few clicks on your board, you might want to switch up what you’re pinning. Pinterest Analytics Clicks: If you have a verified business account, you can access these metrics directly in Pinterest’s dashboard. It’s not clear whether clicks are just for the URL clicks or for the whole pin (which includes clicks on the description), so you will have to do some data slicing and dicing. Regarldess, this a great metric to have in your back pocket. Shorted URL Clicks: You can see this metric by putting the shortened URL in your browser followed immediately by a + sign (ex: http://hub.am/19zv6PY+). If you want to isolate clicks purely on the link in one description, this is a great metric. And once you have all of this data, use it to help you iterate on your strategy. Pretty soon, you’ll have leads flowing in — the proof you need to keep up with this hot social network. So go on — get to it! If you’ve met me and had a conversation about digital marketing, website development, social media marketing, and search engine optimization, you’d know I’m a firm, almost militant, believer of the combination of Content, Search, and Social, in every internet marketing campaign. In the last few years, Social Media Optimization (SMO) has been a major part of the VPDM strategy. I’ve written in the past about the necessity, importance and benefits of blogging for website optimization, the emergence of social search, and effective content marketing strategy. When content marketing, search engine optimization (SEO), and social media optimization (SMO), are working together, amazing things happen to your website traffic, analytics, social media reach, engagement and ultimately your ROI. While any of these 3 pillars of digital marketing can stand-alone and function independently, they actually can’t stand-alone and function effectively. You need to regularly create share worthy content. There are many different forms of content that large brands and smaller companies can create. Imagesand video are clear defaults. Useful articles, blog posts, eBooks, Podcasts, Slideshare Decks, and more. All this wonderful and compelling content needs to be optimized for search. Not only for Google, Bing, and other search engines, but also for social media networks. Ensure you content is optimized for search engines including social search engines like Facebook, Twitter, Google+, YouTube, and Pinterest. SEO should always include SMO – social media optimization. Once your awesome content is created and optimized, you now need to share it. Sharing your optimized content to your social circles is the start. You need to ensure you’re publishing content that is useful or compelling enough to be liked, shared, +1, favourited, followed, retweeted, or commented on. Remember that at every point of engagement your content comes into contact with will produce social signals to search engines. Google, Bing, Yahoo, etc view these signals as a major recommendation and testimonial for your content. This will allow search engines to rank your content higher in search engine rankings. Always be sure to consider your SMO, social media optimization, before posting your social content. I found this neat graphic representation, that you can see below, about how social media supports SEO during the usual late night searches through Pinterest. It quite nicely outlines 7 steps in the interaction between social media and how it supports SEO.